What is the best digital piano I would recommend for my students to purchase? It’s a question that teachers are likely to be asked fairly often, especially if they take a modern view that digital piano technology is rapidly catching up with acoustic and that there is nothing wrong with recommending digital pianos. I have a student parent that is wanting to purchase a keyboard for her daughter to keep in her room. They have an acoustic piano in their living room that she plays on daily, but she is a junior and wants/needs something to take with her to college that will be semi portable. What do you recommend? She is early advanced and will definitely keep playing. They have a $750-$1000 budget. Thanks in advance! Jenny. The reality is that parents often loathe making a large up-front investment in an acoustic instrument and many simply don’t have the means. So if the alternative is that the child doesn’t learn an instrument, I’m all for recommending digital pianos, but let’s make sure we recommend the right models and for the right reasons. Upfront investment – while Hybrids are great, they tend to be expensive and out of the reach of most parents. Ongoing maintenance costs – basically nil. Touch and sound – improving every year and the differences between acoustics and digitals is rapidly becoming imperceptible. Using headphones – yes, you can get an acoustic piano with “Silent Piano” feature (eg. Yamaha), but again these are more expensive than many parents wish to spend. Having the option to play with headphones gives families much more flexibility when it comes to practice time and allows the piano to still be in the main room of the house. Portability – no need to hire moving companies for both inside the home and if kids want to gig or if they move to college. You can write-off keyboards right away. They are usually cheaply made, have unweighted keys, no pedals and often only a few octaves. While cheap, they are not suitable for any level of student studying formal lessons, in my opinion. My only exception to this is if parents choose to purchase a keyboard for a student to explore music before lessons – no problems if it’s encouraged their desire to continue! Stage Pianos are great if you’re a performer and need a portable, powerful, indestructible instrument for gigging. The biggest downside is they generally don’t have in-built speakers making them far less versatile for student use and parents will need to invest in amplified speakers. They generally don’t come with firm wooden stands, either. While the Roland FP Series (see my recommendation below) could be classed as a stage piano, they turn into a quality digital piano when purchased with the custom wooden stand. 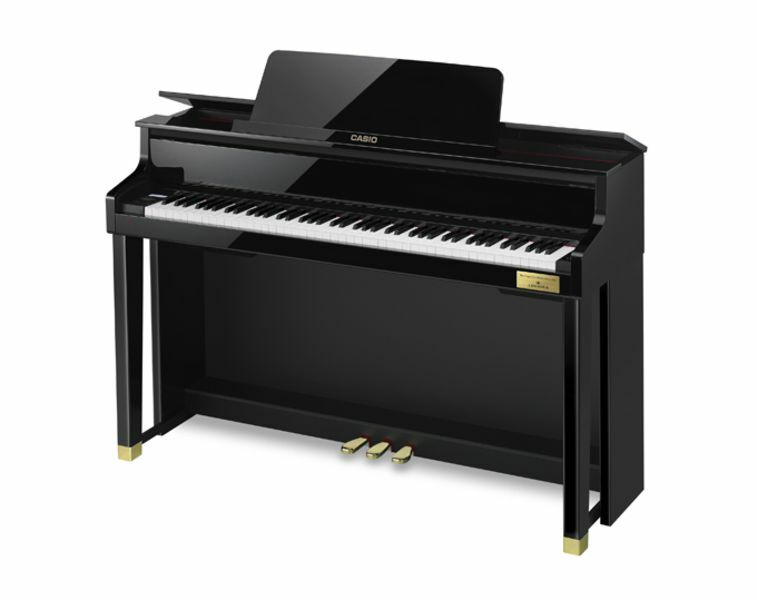 Digital pianos are the most suitable to recommend to students as they are of a high quality, generally have excellent actions and sound production and yet aren’t as expensive as a Hybrid Piano, which I think is unnecessary for most students. You can read more about my thoughts on hybrid pianos here: Hybrid Pianos: The Best of Both Worlds? Note that while hybrids are overkill for most (non-advanced) students, they make great studio teaching instruments. How to tell a digital piano? It’s a well-known brand eg. Yamaha, Kawai, Roland, Casio, etc. I recommend that, as a minimum, teachers specify these as clear requirements for their student purchase. In fact, when you stipulate these requirements, you’ll find that you very quickly restrict the purchase to “digital pianos”! Here’s what I recommend when teachers ask me about digital pianos. Please note that these are listed in approx ascending price order and prices and models are correct as at Feb 2018. Prices in $US. Please check with Amazon or your local retailer for current details and prices. My personal favourite is No 2, the Roland FP series. I have an older FP7F as my second studio instrument toady and still love it. You can read more about it here: Read my article which gives a closer overview of the Roland FP Series. What about second-hand digital pianos? When it comes to buying a digital piano second-hand, it’s similar to buying an acoustic piano. If it’s more than 10 years old, it might not be worth buying. Technology updates quickly with pianos so it would be worth paying extra for something newer that will last a lot longer. Avoid the old op-shop bargains too as they often have keys that don’t work. But, if you can test it out before you buy it, then that’s great and really the only way to tell if the product you are buying is worth the money. If finances are tight, it might be well worth searching Gumtree, eBay or through your local paper. Just remember, always try and test out a second-hand digital piano before you buy one. Your recommendation to parents will likely depend primarily on cost, so you’ll need to provide solutions that fit within their budgets if you’re to get them away from keyboards! There are options for parents to rent digital (and acoustic for that matter) pianos from music stores. You could form an agreement with a local store for your own rental arrangements. Let me know what you think of these recommendations below and if you’ve got any others to add to the list, please feel free to add your thoughts. Hybrid Pianos: The Best of Both Worlds?